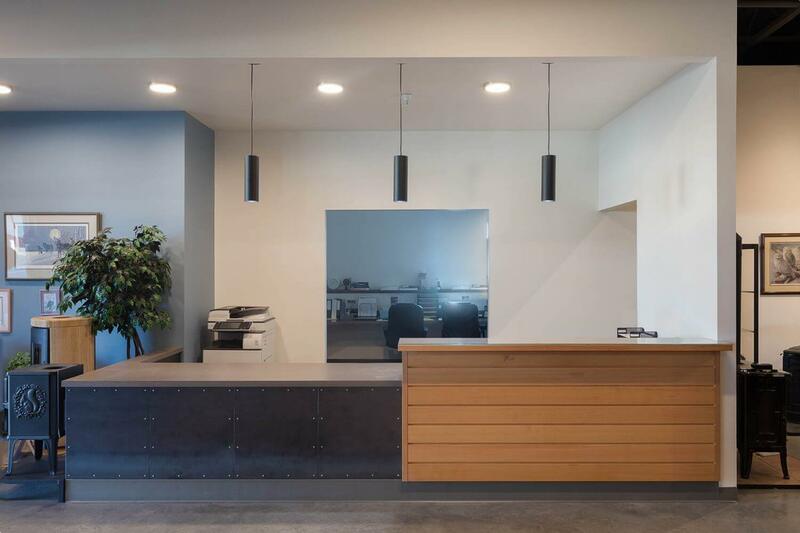 "In the end, we only interviewed one contractor: Chad Fisher Construction. We knew by reputation that Chad Fisher and his family were honest folks and were community-minded. 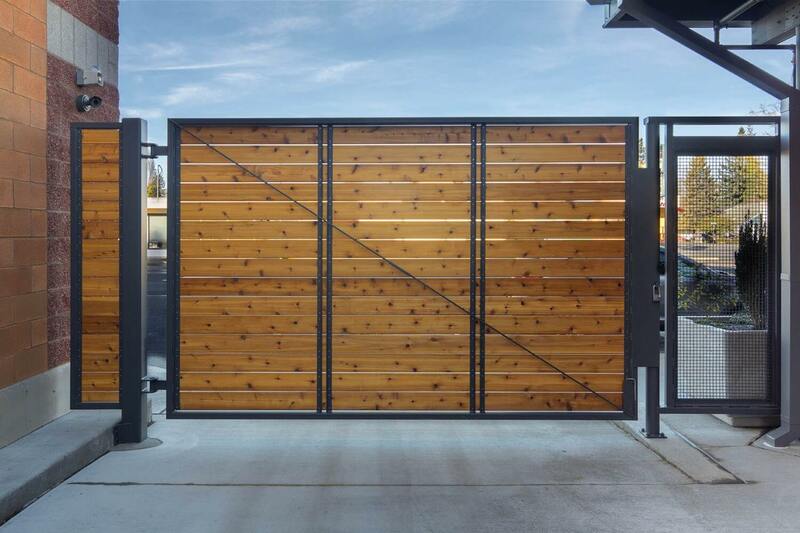 We knew they would understand the importance of what we were trying to accomplish, and they demonstrated a commitment to the project and our community at every turn." The original Craft Stove building burned to the ground due to an accidental fire in 2016. 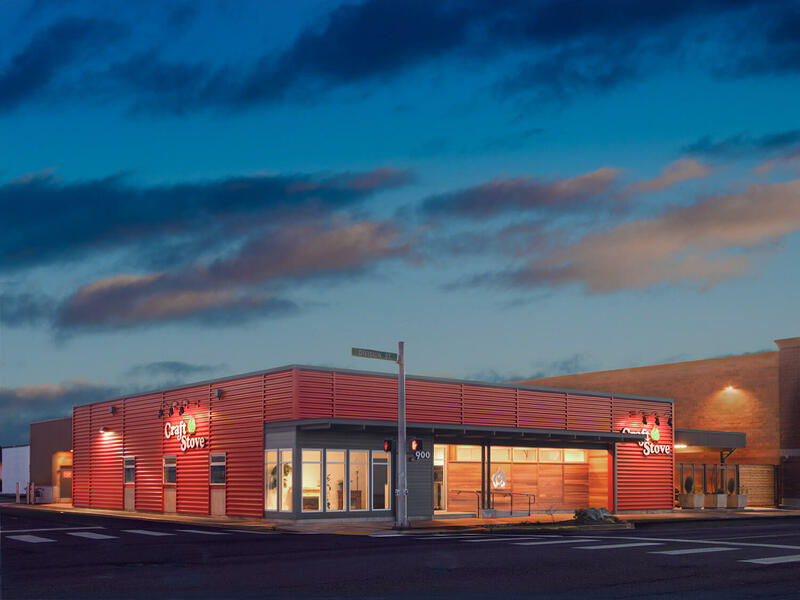 The property owners wanted to rebuild with an eye toward not only replacing but also improving the structure to revitalize the prominent intersection where Craft Stove is located. 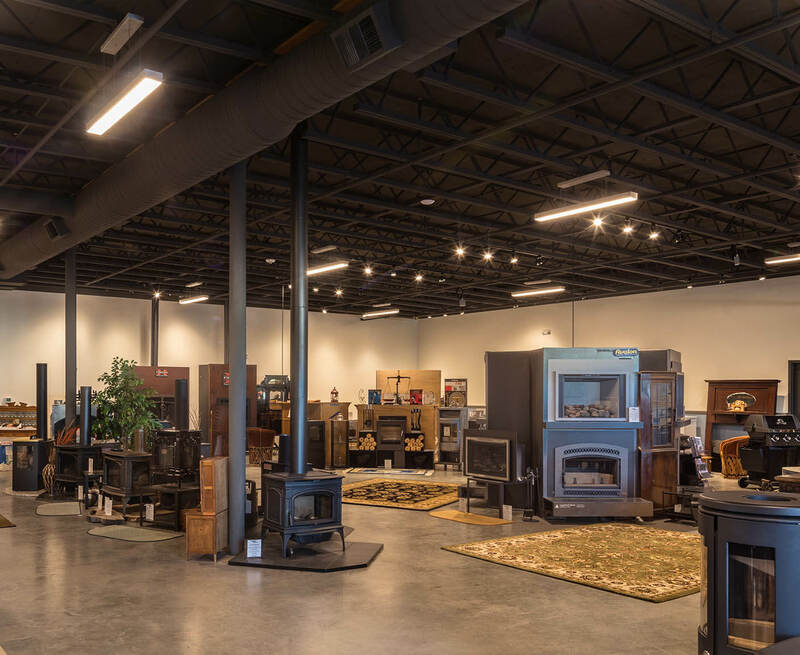 Chad Fisher Construction was hired to do a complete rebuild of a new retail facility matching the existing footprint. Scope of work included demolition of the existing site and foundation and construction of a the new 10,100-sq-ft retail building. The building consists of a wood- and steel-framed structure on a thickened concrete mat foundation. Mat foundations are used to help mitigate potential differential (unequal) settlement due to poor soil condition. They also provide ballast for a building to prevent it from “floating” in the event of a flood, which is a real consideration in the Skagit Valley. The structure covered almost the entire building site, which left little to no laydown and staging areas for the construction process. To mitigate that challenge, pre-planning of deliveries and staging work accordingly was an important element to managing this project. Craft Stove was constructed simultaneously to the next-door Hansen’s Furniture, which also burned in the fire. Because the block is part of a busy neighborhood, CFC took care to ensure pedestrian safety. We coordinated with the nearby schools to make sure work on or near the sidewalks didn’t take place while children were walking to and from school. 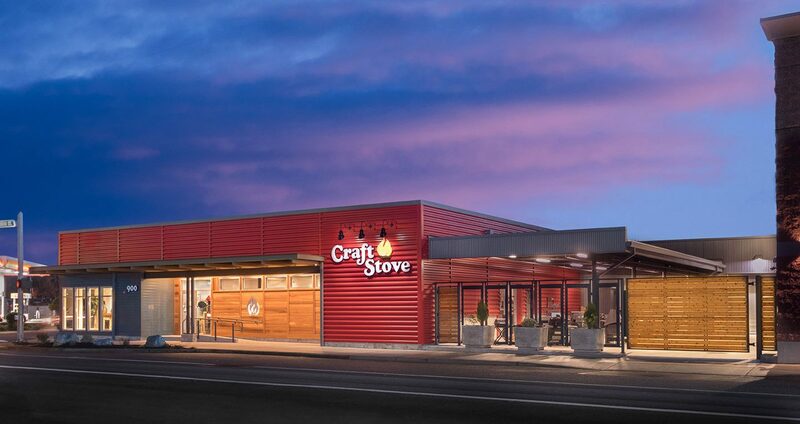 Exterior finishes on the Craft Stove building include horizontal and vertical architectural metal panels with clear-grain cedar siding accents and a structural steel architectural canopy over the entrance. It is an attractive, attention-getting building that accomplished the owner’s goal of a beautiful and functional retail space. The project was completed on time and under budget.